Eight Shades Media > News > Miami Web Design Agency > Do you plan on advertising your business online in Miami, Florida? If this is true, then you can either employ the service of an offshore organization or go with a local agency in Miami. You may be lucky enough to get website design at a low cost while you work with an offshore development service provider. However, you should be aware that a low price does not necessarily guarantee they will produce measurable results. It is more beneficial and advantageous to work with a web design company in Miami. There are many rewards for choosing a local web design company in Miami. When you sign up for a local Miami website design company, you have the opportunity to speak and or meet with the designer. You will receive personal attention from the Miami Designer that you may not receive when you employ the service of an offshore provider. At the point when any business, whether large or small chooses to enhance their online presence via website design or internet marketing there are a lot of alternatives accessible to them in the market. It can be a very hard choice to make, from that organization, you saw on the TV or in a magazine to that friend of a friend who happens to be a website designer. It is important to not hurry into any choices because it is something you need to get right first time! So how would you make the decision? Your site will be a long-term venture for your company and is an incredible chance for you to build your market share. Regardless of what choice you make, no website designer will know your business more than you do, due to this, the most vital thing is communication and establishing a relationship with the individuals who will provide an online presence for your company online. When you choose a local Miami web design company, you can establish a close and direct relationship by meeting face to face with your website design company in Miami. You can discover more about their work, give them your ideas, and begin to build a relationship as you are doing business together. To be successful, you both must know each other. The most important thing you need is to hire a group that honestly care about your business and project, by starting a relationship, you will be able to approach them anytime you want – you will discover somebody within the neighborhood who cares. While at first, you may just be looking for a basic site, down the line you will want to invest in online marketing or adding new functionality to your website. Regardless of whether it is email marketing, search engine optimization or something else, your local provider can walk you through your options and stands ready to help you. Another advantage of hiring a local website design firm in Miami is trust. Individual communication and talking about all the work face-to-face will prompt a great relationship and confidence between both sides. You will be able to build a long-term relationship with the company, and they will help you grow. By hiring a local Miami web design company, you can build trust and control the outcome of your site. Working within the same time zone is another advantage of hiring a local Miami website design company. Good communication can consistently address any of your issues. You can contact the local company via the phone anytime, and you will receive replies to your emails immediately. Offshore providers are in another time zone and are not able to contact you over the telephone and answer your emails as quickly. You may be held hostage to their time zone. A local web design company in Miami will know about the area because they are familiar with the local businesses already and all your competitors. An offshore company will not have this local knowledge to give to their clients. Every culture and territory in a city have some success stories and experiences, and a local website design provider can share those stories with you. Another big advantage of choosing a web design company in Miami is that the firm will help in expanding the local economy, which therefore may deliver more business for your online venture. A local web design company has to provide the results as the only way they can grow as a company is if they help their clients grow. With such a large number of advantages, nothing could be better than hiring a local web design company for your online business. 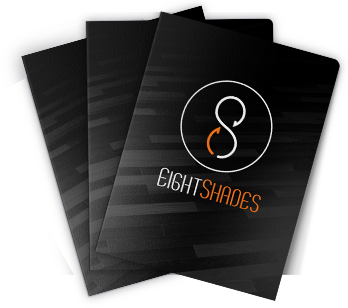 We are Eight Shades Media, and we are a local web design company in Florida. We have clients throughout the state of Florida. Visit us online at eightshades.com, and see how we can make your online business vision a reality.